I first encountered the name Ted Jenner in 1991, when I was fossicking in the dimly-lit back shelves of the Rosehill College library. Ted was one of the writers included in The New Fiction, the fat, baffling collection of ‘experiments in prose’ edited and introduced by Michael Morrissey, a man whom I then imagined to be related to the lead singer of The Smiths. The texts in The New Fiction broke all the golden rules we had been taught by our English teachers at Rosehill: there were stories without plots, let alone trick endings, pages broken into multiple columns of texts, and characters whose names seemed to change with every new paragraph. I duly showed the strange book to my English teacher, a rotund, bearded man who wore braces and loved GK Chesterton. He flipped through a few pages, turned up his bushy eyebrows slightly, and chuckled ‘Ah, yes! The zonked-out-of-one’s-skull in Ponsonby school of writing!’ But the strangest and most compelling piece in The New Fiction was written some distance from Ponsonby, and showed no sign of being the product of mind-altering substances. Ted Jenner’s ‘Progress Report on an Annotated Checklist for a Motuihe Island Gazetteer of Ethnographical Topology and Comparative Onomatography’ seemed to have little in common with the other texts in The New Fiction, let alone the Chesterton stories which our English teacher loved to read aloud. Jenner’s text had been composed while he wandered around Motuihe, the two hundred hectare island nestled between Waiheke and Motutapu in Auckland’s Hauraki Gulf. Jenner discussed the topography and history of Motuihe in a series of numbered paragraphs, and provided a carefully-drawn map to help his readers. 7. A brilliantly screen-printed silk falcon swoops over the slender isthmus linking Hine-Rehia with Turanga-o-Kahu; here several groups of SE Asian ESL students establish pockets of cultural identity almost immediately upon disembarkation. Jenner’s extraordinary text made me realise for the first time that there is no Chinese Wall between different types of writing, and that the ‘technical’ languages of subjects like botany, linguistics and geography can be as poetic as Keats’ nightingale and Wordworth’s daffodils. Long after I had forgotten about the other pieces in The New Fiction, I remembered Ted Jenner’s ‘Progress Report’, and wondered what else the man might have written. Early morning mist dissolving over last season’s maize. Dry, shrivelled stalks rustling in the breeze like the pages of a Latin Grammar, rattling off their responses at the first hint of rain…Pied crows on campus scratching the blister domes of the library’s roof. It was only after Jenner’s return from a decade in Malawi in 2006 that I finally got to meet him, and to learn more about the life that lies behind the texts in Writers in Residence. Jenner grew up in the working class South Dunedin suburb of St Kilda, where his father practised medicine. In a recent interview he remembers wandering the windswept streets of his neighbourhood with gangs of friends, then going home and lying awake for hours in bed, listening to the waves pounding the dunes of St Kilda beach, worrying ‘that the vastness of the Southern Ocean might wash over me’. The St Kilda boy soon developed a fascination with the world of classical antiquity, largely because ‘it seemed so distant and exotic’. ‘If I’d grown up in modern Greece or Rome, then I probably would have been fascinated by Polynesia’, he suggests. In the middle of the sixties the young Ted Jenner enrolled in Classics and English at Otago University. Over the next few years he published his first poems in the student magazine OU Review, learnt the Greek and Latin languages, discovered the poetry of Ezra Pound and TS Eliot and the philosophy of Martin Heidegger, and took part in some of the demonstrations against the Vietnam War which shook up New Zealand’s campuses in the second half of the sixties. ‘I was very much opposed to the war and inclined towards left-wing politics’, he remembers, ‘but my classical studies gave me a sense of pessimism. I saw that some of the problems we were struggling with in the twentieth century had existed in the world of Plato and Aristotle. I couldn’t abide the naïve optimism I found in parts of the protest movement and the counterculture’. 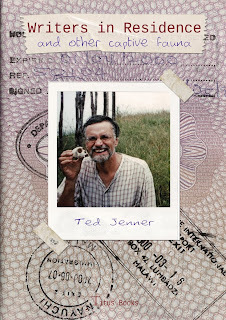 Since graduating from Otago with two Masters Degree at the end of the ‘60s, Jenner has divided his time between Britain, continental Europe, Malawi, and New Zealand, working as a teacher in a succession of schools and universities. He has published a stream of poems, translations, imaginative prose pieces, and scholarly essays in a variety of journals, as well as several small collections of poems, the best-known of which is probably the 1980 Hawk Press volume A Memorial Brass. The verse and prose texts in Writers in Residence have their origins in Ted’s adventures over the past few decades; by bringing them together, Titus Books allows us to make an assessment of what was previously a scattered and hard-to-access oeuvre. It is hard to read even a page of Writers in Residence without being impressed by the breadth and depth of Jenner’s learning. His writing is full of allusions to physics and philosophy as well as philology and poetry, and he ranges with disconcerting speed through many epochs of human and natural history. Despite his learning and his love of allusion, Jenner is never a show-off: in fact, the texts in Writers in Residence show a profound uneasiness with the Western intellectual tradition that stands behind them. 19. There is a risk that the writer will hold fast to his notebook, in which the rubber constantly catches up with the pencil, and to his temporary conclusions, which, from this moment on (4 p.m.), will become definitive, unverifiable, beyond all recall, accurate, so to speak, corresponding to the truth. Even an attempt to make an exhaustive catalogue of the contents of a tiny piece of the world like Motuihe Island is doomed to failure, because reality is infinitely complex and continually in flux. To experience reality properly we need poetry, myth, and magic, as much as philosophy, philology and physics. 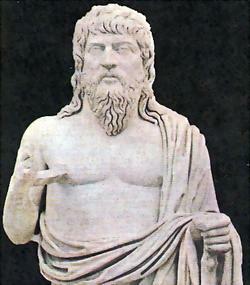 Plato was wrong to want to exclude poets from his Republic. Jenner’s horror of dogmatic ideology and rigid categories is reflected in his continual undermining of scholarly conventions and procedures. His texts show us the limits of our understandings of the world, and the inadvisability of using dogma to cover for our ignorance. More than a few of the pieces in Writers in Residence feature a narrator or monologuist whose pretensions to omniscience are gradually undermined, until confusion replaces certainty. A little while ago, just as I was coming into my room, I stopped short because I felt in my hand a cold object which held my attention through a sort of personality. I opened my hand, looked: I was simply holding the door-knob. This morning in the library, when the Self-Taught Man came to say good morning to me, it took me ten seconds to recognise him. I saw an unknown face, barely a face. Then there was his hand like a fat white worm in my own hand. I dropped it almost immediately and the arm fell back flabbily. Holding to one ear the spiral shell of the fresh-water snail that plays host to the bilharzia fluke, I hear the dumping of breakers on a west-coast beach (Piha? ), even ‘the turn of the waves and the scutter of receding pebbles’ (Pound out of Homer) at a distance of almost four hundred kilometres from the Indian Ocean. Ted Jenner should be read for his erudition, his wit, his remarkable attention to detail, and his insistence on remaining continually open to the richness and flux of the world. Writers in Residence is the fruit of decades of travel, study, thought, and writing. It’s a book I’ve been waiting for since 1991. Think I'm going to have to get a copy. Just Dug out an old issue of Parallax - I'm going to read "Progress Report" again! I hadn't heard of Ted Jenner, but if he can come up with titles such as "Progress Report on an Annotated Checklist for a Motuihe Island Gazetteer of Ethnographical Topology and Comparative Onomatography" then he must be worth reading! I will seek out this new book. your blogs Design is very nice and good Content. I got the New Fiction in about 1989 and as I hadn't read or written much (of a literary nature) for years I found it very useful (in fact exciting) for new ideas and references to writers (NZ and American and others (such as Borges)) - I had - then - never heard of - Morrissey later - to Maps and I - depreciated his own book - but for me it is one of NZ's most powerful and interesting critical books on writing in NZ and elsewhere. And Ted Jenner was one of the writers I was intrigued by. Haven't come across Jenner, but after reading this post I will certainly have to look out some of his work! Heidegger suddenly a good guy? Hello...you accuse others of being involved with Nazis...but you / your friend the great ted Jenner praise famous Nazi thinkers?? Hegel's theories led Marx to Communism but doers that mean that all enthusiasts for (or those interested in) Hegel are thus Communists? Heidegger was a philosopher who was interested in phenomenology etc - I think Ted Jenner is interested in certain aspects of his writings - not primarily in the fact that at one stage he was a member of the Nazi Party. Many people who we might call "ordinary" were Nazi sympathisers before WW2 - when they saw the terrible reality that resulted from the insane ideas of Hitler etc they backed away - and it is this - the horrific results of WW2 that we abhor - which is why we don't like the Nazis such as those who promulgate ideas such as that there was no Holocaust etc or that Maori are an inferior race. Ezra Pound was a fascist sympathiser but many people - many writers - came to his aid after the war when the US Govt wanted to charge him with sedition - this included Jewish writers. This doesn't mean they agreed with his views...which he regretted later himself. Pound's poetry and writing is still mostly very great. You are right to note Heidegger's association with the Nazi Party; however your point scoring falls flat as it is obviously very simplistic. I don't think Heidegger can be described as a "Nazi thinker". Do not avoid Heidegger. Eventually he will catch up to you, establish the non foundational clearing and use its "ground" to "let the light shine" on your newly crushed "being-in-the-world.” Deal with it, or go learn how to build webpages at the community college in Dartmouth. Wow, i didn't know that he had written so many pieces of writing! All I knew him as was a Latin teacher! Oh! Wonderful post. Really this site is very helpful for all concerning this. I got few important helps from here and highly recommended it. Surely I will know my relatives and relevant competitors concerning this blog and will wait for more. Thanks a lot……. I got an unadulterated solution from here. Also I can refer to you all realtor el dorado hills here to get educational helps. To talk the fact this is a pleasant post concerning this topic. Yet will wait for more posts from the blogger. Thanks a lot……. Thank you with regard to a different vital content. Where by else might anyone receive in which style of data in this Watch here comprehensive means of writing? We've any presentation inward bound 7 days, and I'm hunting for this kind of data. This is actually the perfect blog site proper who would like to know about this subject matter. Excellent submit. I'd like to understand your time that was invest to create this kind of articles or blog posts. I am hoping their own wholesale Green Coffee Bean Extract quest to build up the actual assignments in the open, determining mastering ambitions & milestones, creating training would have been a accomplishment. Hold placing! First of all thanks for share.Your blog is really nice and unique a. Great sharing keep it up.. This is one of the few blogs that i read constantly,very nice source of knowledge. Thank you for useful blog !